Charitious is a WordPress Theme especially for Charity, NGO, Non-Profit Organization or Foundation, Campaign & Event Donation, Religion or a Fundraising website. 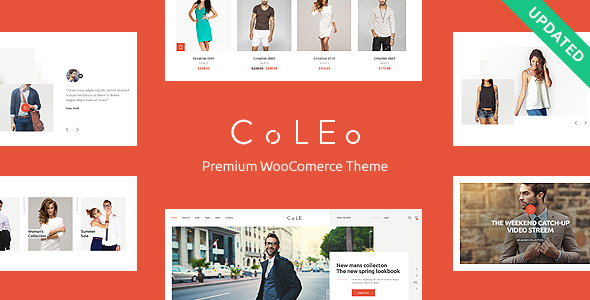 If you are a modern fashion retailer looking to sell clothes or shoes online, Coleo is built right for your selling needs. 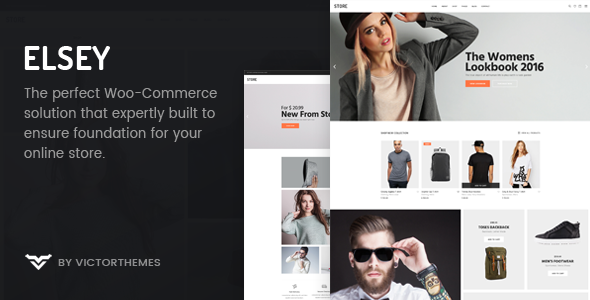 It’s a bright, refined, clean & fresh e-commerce WordPress theme designed for a contemporary online store company of clothing and accessories, agency, firm, model bureau or trendy online fashion boutique. 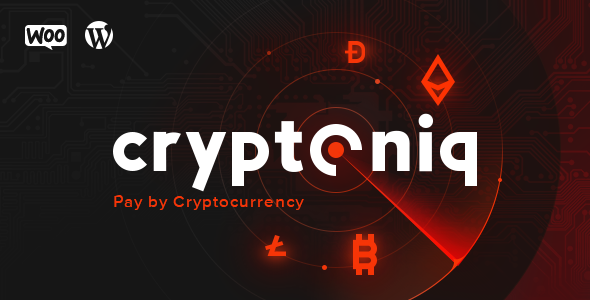 Cryptoniq is a Wordpress Payment Plugin, which allows to pay for products with cryptocurrencies. It was built with the vision to make the payments comfortable as much as possible. 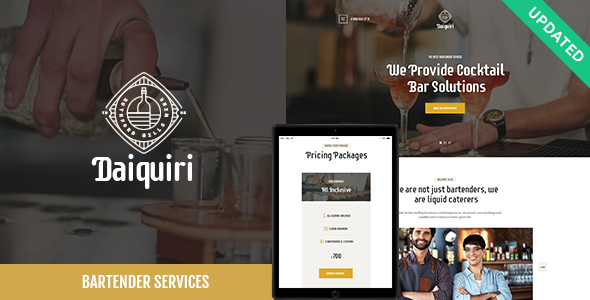 Daiquiri is an elegant authentic WordPress theme for modern bartending and catering business. It’s an ideal fresh & clean option for you if you’re offering your services as a bartender during special events, like wedding, anniversary parties, birthday party, and corporate business company banquets. The theme’s beautiful design is also an ideal option for a stylish cocktail bar, pub, cafe, restaurant, firm agency. 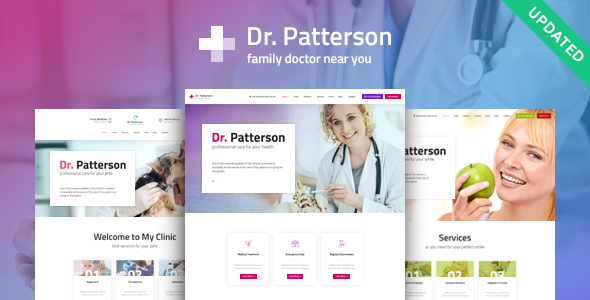 Dr.Patterson is an ultimate beautiful all-purpose Medical WordPress theme. It matches any modern projects in the field of contemporary hospital, clinic services, clinique, ambulance solutions, nursing care agency, medical institution, medical equipment shop, medical hospice center, infirmary bureau, convalescent home or even sanatorium business. 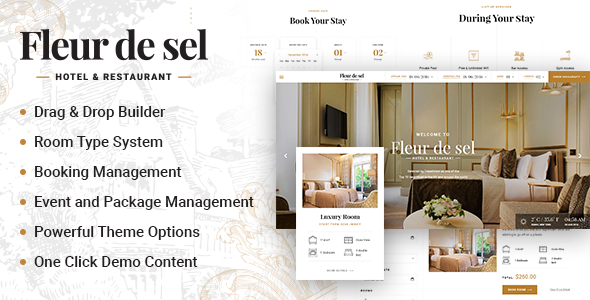 Elsey is a creative and elegant theme that mainly focused on e-commerce and it will perfectly suits for any type of online business with its clean and multi-functional layouts. Elsey is the result of several studies about the latest web trends & technology’s in online shopping to deserves a smooth shopping experience. 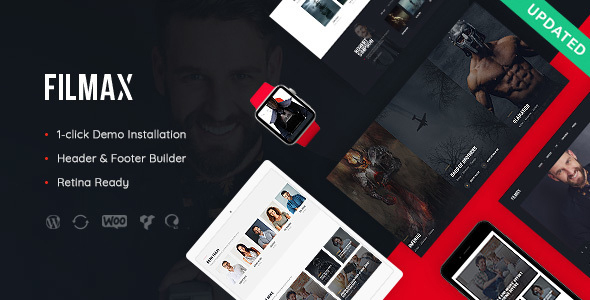 Filmax is a refined, fresh & modern WordPress product for film critics and those who want to run a trendy online movie magazine, stylish film blog, attractive film portal, etc. Enthusiasts can also use it to build a blog on filmmaking, acting, and movie production, as well as an actors or movies catalog. Thus it will fit any company, agency, firm or bureau related to films and movies. Fleurdesel impresses at the very first glance with its modern and elegant design. 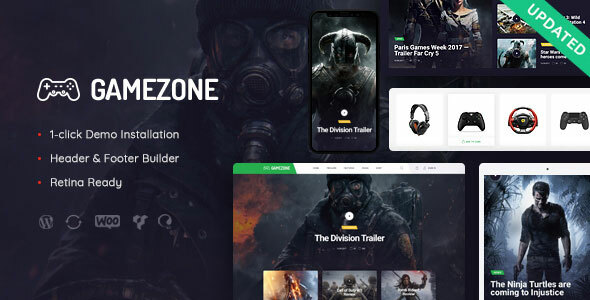 From a visual perspective, you’re immediately blown away by the brilliant full-screen slider that dominates the homepage in all of 6 homepage variation, providing an impressively immersive effect. The content background is white with accents in black and gold, which create simplicity yet welcoming and posh atmosphere. 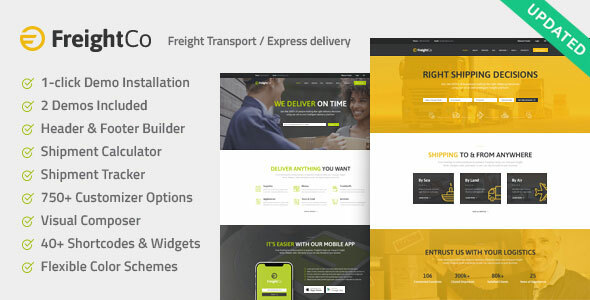 FreightCo is a stylish, modern and powerful Logistics WordPress Theme with a high-class bright business design perfect for contemporary trucking agency, transport bureau, logistics firm. Also it fits warehousing, transportation, corporate shipping company, package delivery and freight services.